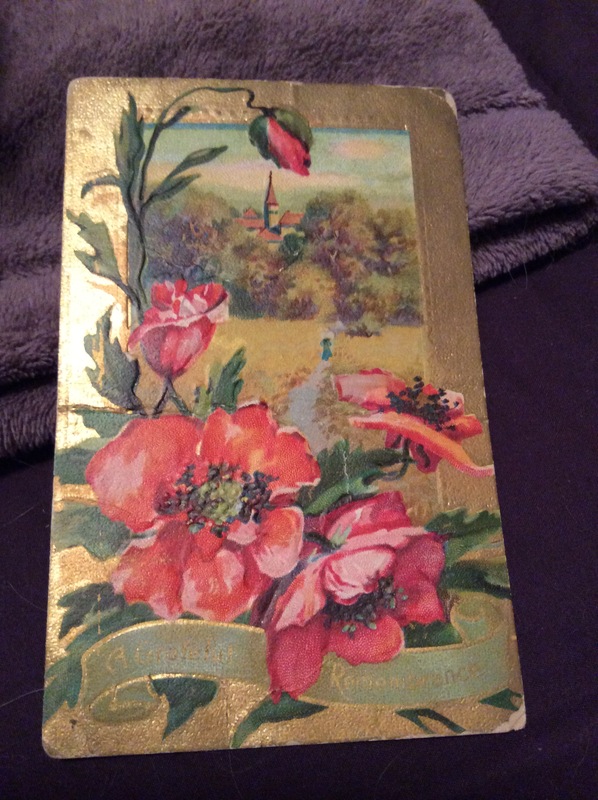 She died fairly young (age 48) and her youngest son, my grandfather, was bothered by that. She was born in 1885 in Owen County, Indiana. Her parents were Jonathan and Susannah (McGuire) Criss. Possibly 8 siblings: William Emmitt, Frank, Oscar, Ross, Ezra, Harry, and May. There was a Benjamin, but he is only one on census at age 5 months, between William and Frank. There is a marriage license application for Clara and Joseph Varian Ford in Sullivan County, Indiana, on 1 Oct 1904, but no return…not sure where or if they were actually ever married. First child was born 4 years after they married. 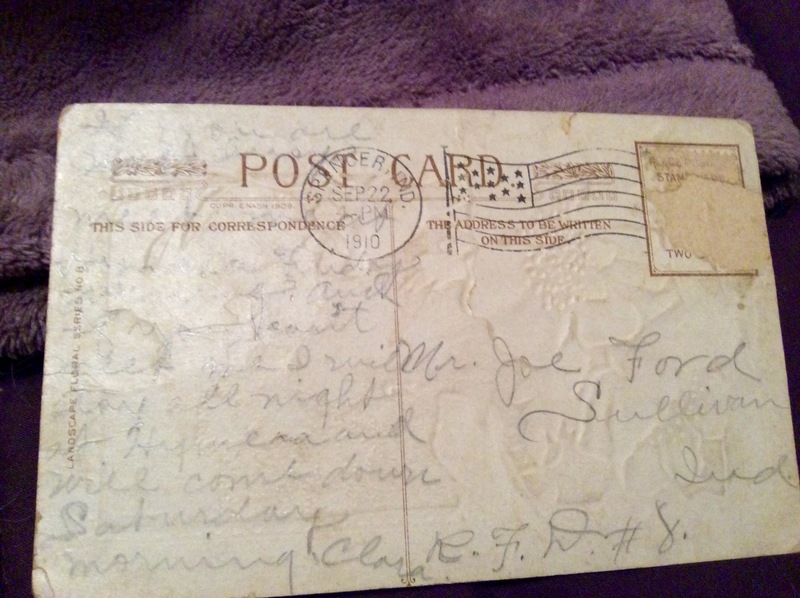 A postcard sent from Clara to Joe in Sep 1910.